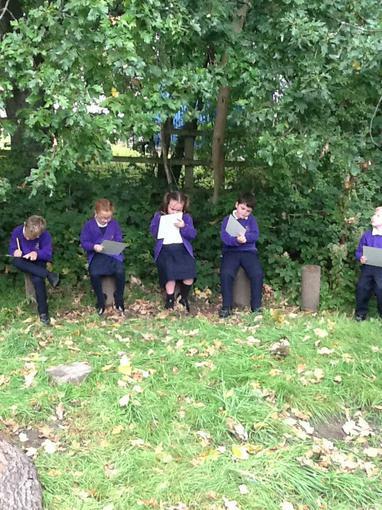 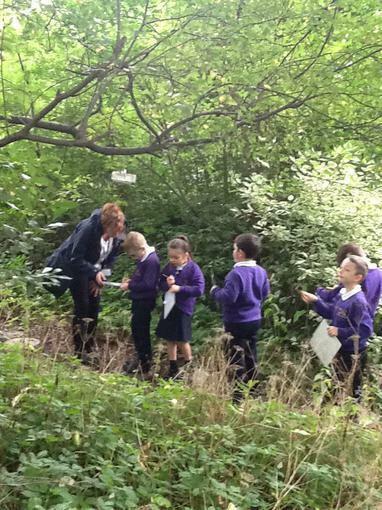 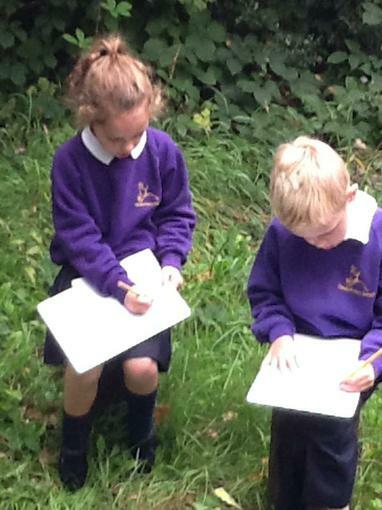 As part of our SPAG and our text work we went outdoors to gather nouns. 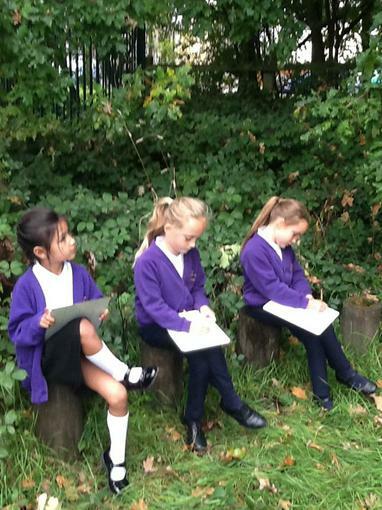 In English we are studying the book 'Wild' by Emily Hughes. 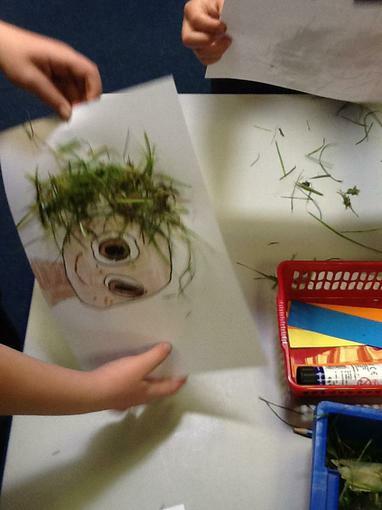 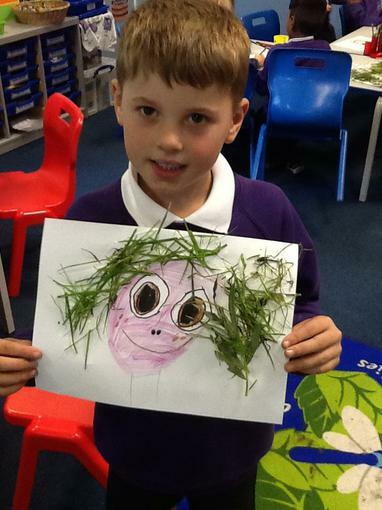 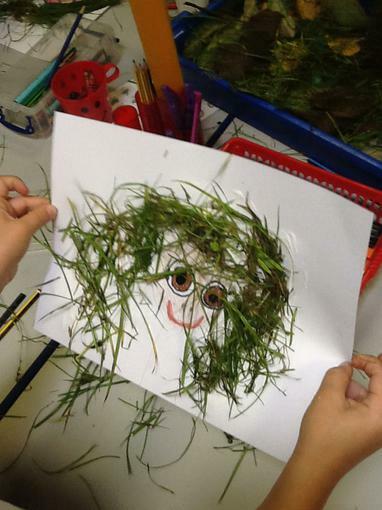 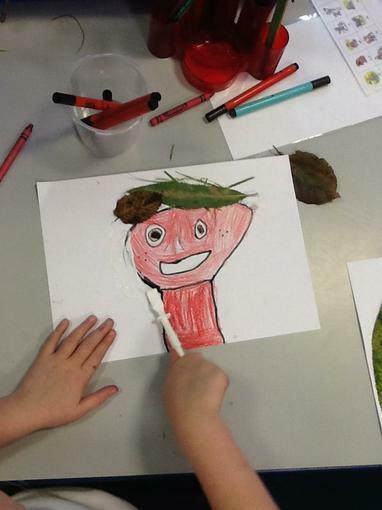 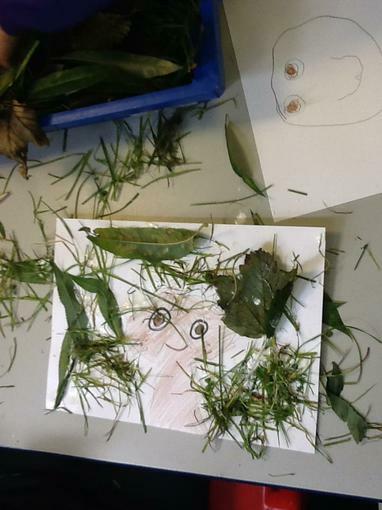 We collected natural materials for the character's hair and then we added adjectives to describe the appearance of the character. 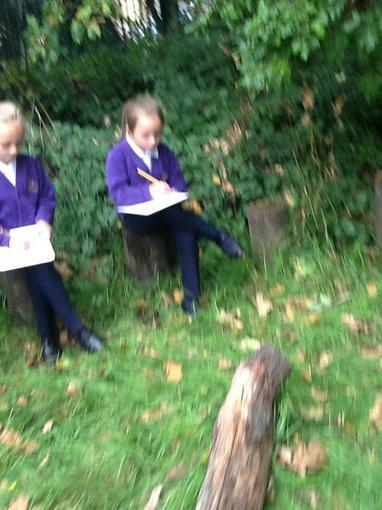 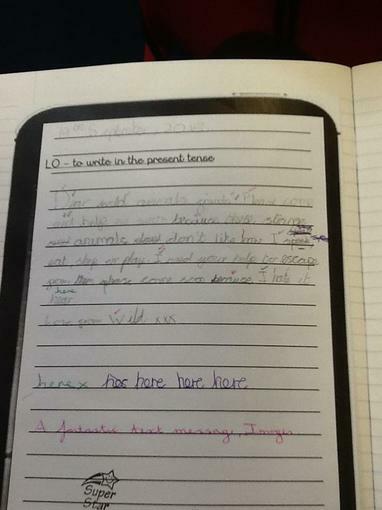 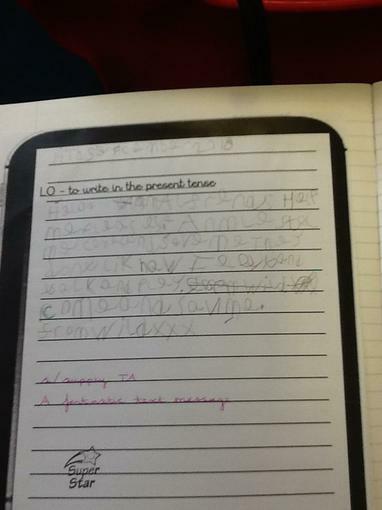 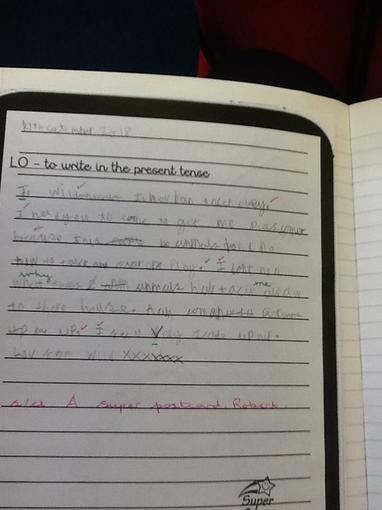 We have written text messages from Wild to her animal friends.